Which bands to see at Groezrock? The Belgian punk festival has posted the timetables for both days, with the usual clashes and complaints. The organisation listen to you though, so if there is a clash you do not like; no worries (yet). The 24th edition of Groezrock will be held on May 1 and 2, 2015. For the complete line-up, go here. Timetables can be found here (May 1) and here (May 2). If there are any clashes you do not agree with, kindly tell the organisation by commenting at their Facebook post. They do their best to please as many as possible. 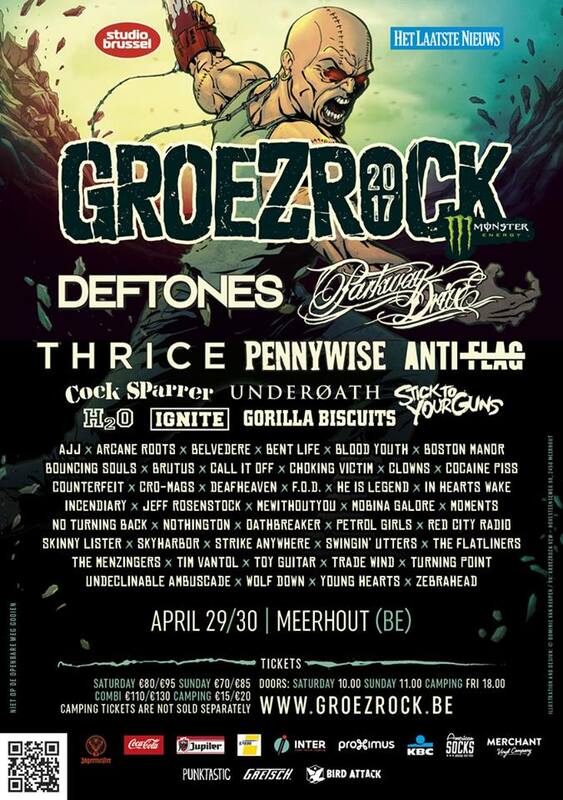 Tickets are still for sale on the Groezrock site, though VIP tickets are sold out and combi tickets are going fast. This entry was posted on Wednesday, April 8th, 2015 at 2:14 PM	and tagged with Clashes, GR15, Groezrock, Timetables and posted in News. You can follow any responses to this entry through the RSS 2.0 feed.